India and Afghanistan relations spawn over centuries and date back to ancienthistory. The fall of Taliban regime and subsequent establishment ofInterim Authority in December 2001 led to up gradation of India LiaisonOffice to Embassy in March 2002. Besides Mission in Kabul, India hasfour Consulates located in Mazar-e-Sharif, Herat, Kandahar and Jalalabad. India's role and active engagement in Bonn Conference of 2001 was positively received. Since then, India has followed apolicy of high-level engagement with Afghanistan through extensive andwider ranging humanitarian, financial and project assistance andparticipation in international efforts aimed at politicalreconciliation and economic rebuilding of Afghanistan. The present level of Indian assistance is at US$ 1.5 billions. As Chairman of the Afghan Interim Administration to India from February 26-27, 2002 and accompanied by 13 Ministers. During the visit, Indian PM announced a grant of US $ 10million for immediate use by the Afghan government. As President of Transitional Islamic State of Afghanistan from March 5-8, 2003 accompanied by 3 Ministers to India. During this visit, Himachal Pradesh University conferredhonorarydoctorate on President Karzai. PM announced a financial commitment ofUS$ 70 million for the construction of Zaranj-Delaram road in Afghanistan. Both sides also signed a Preferential Trade Agreement. A Working Visit to India accompanied by 8 Ministers from February 23-25, 2005. Two MoUs on cooperation in the fields of Civil Aviation and Media &Information were signed. President Hamid Karzai visited India from April 3-4, 2007 to attend the 14th SAARC Summit at which Afghanistan was admitted as a full-fledged member of SAARC. Thedelegation included Foreign Minister, National Security Advisor to thePresident, Advisor (International affairs) to President, Ambassador ofAfghanistan to India and Chief of Staff to the President. The AfghanForeign Minister also participated in the Council of Ministers meetingon April 2, 2007. Afghan Foreign Minister, Dr.RanginDadfarSpanta made his maiden official visit to India from June 29 - July 1, 2006 after assuming charge. During the visit, he called on the Prime Minister and hadmeetings with National Security Adviser, MOS (AS), FS and other seniorgovernment officials. He also interacted with cross section of societyon "Afghanistan: Foreign Policy, Regional Relations and Future Perspectives" at the Indian Council of World Affairs. Jaswant Singh, EAM visited Kabul on December 22, 2001 to attend inauguration of InterimAuthority under the chairmanship of President Hamid Karzai. Yashwant Sinha, EAM in his visit from August 10-12, 2002, announced reconstruction assistanceof US $ 4 million each for Indira Gandhi Hospital and HabibiaSchool.He also visited Herat, Mazar-e-Sharif and Kandahar. During his visit on February 15, 2005. Natwar Singh, EAM handed over Surgical Block of Indira Gandhi Institute of Child Health(IGICH) and 50 trucks to Afghan National Army (ANA). He also announcedsetting up of a diagnostic center with Indian assistance in IGICH andsupply of 5000 meters of cloth for summer uniforms to Afghan National Army. Pranab Mukherjee, EAM accompanied by Foreign Secretary and other senior officials visited Kabul from January 23-24, 2007 tohand over the formal invitation to President Karzai for the 14th SAARCSummit to be held in New Delhi on April 3-4, 2007. He also haddelegation level talks with Foreign Minister of Afghanistan, Dr RanginDadfarSpanta. Both the Foreign Ministers witnessed the signing of a MoU among India, Afghanistan and UNDP on Capacity Building in Public Administration. India is providing US $ 1.08 millions with a matching contribution from UNDP. Under this programme, 30 Indian experts wouldwork with Afghan Government to help build competence and capability inthe reconstruction and rebuilding process. EAM also announced anadditional amount of US $ 100 million, taking India's total assistanceto US $ 750 million. Further, he handed over the Polyclinic Block ofthe Indira Gandhi Institute for Child Health Care as also a consignmentof medicines from India to Afghan authorities. A plaque was alsounveiled naming the road adjacent to Indira Gandhi Institute for ChildHealth Care (IGICH) as "Indira Gandhi Street" in memory of former PrimeMinister of India, Smt. Indira Gandhi during his visit. MOS(EA), E. Ahmad led India's delegation to attend the 'Regional EconomicCooperation Conference' held at Kabul from December 2-4, 2005. MOS for Tourism, Smt. RenukaChowdhury led a delegation to Kabul from December 6-8, 2005 and signed an MOU for Cooperation in the field of Tourism. SaifuddinSoz, Minister of Water Resources and A.Rehman Khan, Deputy Chairman, RajyaSabha, visited Kabul on July 24,2007 to represent Government of India at the funeral of His Majesty Zahir Shah. National Security Advisor, M.K Narayanan visitedKabul, at the invitation of National Security Advisor of Afghanistan,DrZalmayRassoul from September 30-October 1, 2007. During his visit,NSA had meetings with his counterpart and called on President Karzai. UN sponsored Group of 21 countries on Afghanistan was held in New York on November 16, 2001. A follow up meeting was held on December 6, 2001 in New York. Senior Officials Meeting (SOM) on Reconstruction Assistance to Afghanistan held in Washington on November 20, 2001 UNDP sponsored conference in Islamabad on November 27-29, 2001. Bonn Process (November 27-December 5, 2001); Indian Special Envoy SatishLambah and JS (PAI) were present as observers. Steering Group meeting of donors in Brussels from December 20-21, 2001. Tokyo Ministerial meeting on Reconstruction in Afghanistan was held from January 21-22, 2002. ArunShourie, Minister for Disinvestment, led the Indian delegation. The international community pledged a sum of US$ 1.8 billion for the first year and over US $ 4.5 billion for subsequent years for reconstruction of Afghanistan. Meeting held in Berlin on February 13, 2002 on international assistance for Afghan police and security forces. Afghan Support Group meeting held in Geneva on March 4, 2002. Meetings convened in Geneva (April 3, 2002), and again in mid-May, to discuss assistance to Afghanistan for development of its army and police force. Afghan Implementation group meeting held in Kabul on April 10, 2002. Government of India and UNDP organized a Joint Conference on South-South Cooperation and the Reconstruction of Afghanistan on May23-24, 2002. About 30 developing countries, 16 developed countries, 16UN organizations and 10 NGOs participated in the conference. Afghan Support Group meeting held in Geneva on July 11, 2002. EAM attended the 'Friends of Afghanistan' meeting on September13, 2002 organized by UNSG at the level of Foreign Ministers. A meeting of the Afghan Reconstruction Steering Group held in Washington on September 26, 2002. MoSDigvijay Singh attended the Petersburg Conference in Germany on December 2, 2002. Meeting of Afghan Support Group in Oslo on December 17-18, 2002. The ASG has been disbanded in its current form; its place would be taken up by an informal consultative group of donor countries. A Conference on Reconstruction of Justice Sector organized by the lead country Italy in Rome from December 19-20, 2002. Conference on Good Neighbourly Relations on December 22, 2002 as observer besides observers from G-8 countries, UN, EU and OIC. Conference on Consolidation of Peace (Disarmament, Demobilization and Reintegration), held in Tokyo on February 22, 2003. A meeting of Afghanistan Development Forum held in Kabul on 13-14 March 2003. A meeting of High Level Strategic Forum on Afghanistan held in Brussels on March 17, 2003. MOS Digvijay Singh participated in the International Conference on Drug Routes being held in Paris on May 21-22, 2003. EAM attended the High Level Ad hoc Meeting on Afghanistan, which was held on the margins of UNGA on September 24, 2003. DG,Narcotics Control Bureau, M.K. Singh, attended an International Conference on 'Narcotics' on February 6-8, 2004, in Kabul. The Conference was jointly organized by UNODC, British Embassy in Kabul and Afghan Ministry of Foreign Affairs. Foreign Secretary led the Indian delegation to the International Conference on Afghanistan "Afghanistan and the International community - A Partnership for the Future", held in Berlin on March 31 - April 1, 2004. SpecialSecretary, MHA led the Indian delegation to a Conference on Regional Security and Police Cooperation "Police Reconstruction in Afghanistan - A Regional Approach", held in Doha on May 18-19, 2004. PradeepSingh, Additional Secretary, Ministry of Information &Broadcasting, led a delegation to Kabul from October 25-29, 2005. MOS (EA) led Indian delegation to "Regional Economic Cooperation Conference" held at Kabul, December 2-4, 2005. Smt.RenukaChowdhury, MOS (Tourism), led a delegation to Kabul from December 6-8, 2005. An MOU for Cooperation in the field of Tourism was signed. A three member delegation led by Additional Secretary (FA), Ministry of External Affairs visited Kabul from January 14-18, 2007. Pranab Mukherjee, External Affairs Minister, accompanied by Foreign Secretary and four other senior officers of the Ministry of External Affairs visited Kabul on January 23-24, 2007. The visit was primarily to invite President Karzai to the 14th SAARC Summit to be held in New Delhi on April 3-4, 2007. An Indian delegation led by Ambassador RakeshSood attended the fourth JCMB Meeting at Berlin on January 30-31, 2007. ShriDilip Sinha, Joint Secretary(PAI) visited Kabul to attend the JCMB-V and ADF meetings from April 28-May 5, 2007. Dr.JaiminiBhagwati, Joint Secretary(Eurasia) visited Kabul to attend International Conference on 'Effective Contribution by Private Initiative to Development in Afghanistan' from June 2-5, 2007. National Security Advisor, M.K Narayanan paid a two day official visit to Kabul from September 30-October 1, 2007 to hold discussions with his counterpart. T.C.A Raghavan, Joint Secretary (PAI) visited Afghanistan from October 2-6, 2007 and attended the JCMB-VI meeting on October 3, 2007. There have been frequent high level visits from both sides, including among others, Prime Minister in May 2011; Vice President in March 2014 (to Participate in the funeral of FVP Marshal Fahim) and September 2014 (Inaugural Ceremony of National Unity Government), External Affairs Minister (EAM) in January 2011, February 2014 (inauguration of ANAASTU) and September 2014 (unveiling of the monumental flag and New Chancery premises inauguration) ; National Security Adviser (NSA) in March 2011, February 2013 and October 2014; Special Envoy to PM to Kabul in June 2011 for a meeting of the International Contact Group; Foreign Secretary in September 2011, August 2013 and May 2014; Minister of Law & Justice in September 2011 and June 2014, Minister for Steel in April 2013, and by Shri S. Ramadorai, Adviser to the Prime Minister of India in the National Council on Skill Development and Shri M.S. Swaminathan, Chairman of National Farmers Commission. Hon’ble EAM Smt. SushmaSwaraj visited Afghanistan and called on the President Karzai and jointly inaugurated a monumental Afghan Flag on 10 September 2014. This flag, a symbol of Afghan unity and nationhood was organized with assistance from various sponsors including the Flag Foundation of India. 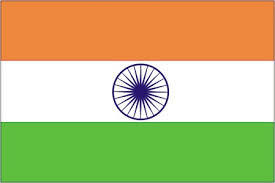 India announced US $ 1 million for creation of a national public park around the flag. Indian initiative was widely appreciated by Afghans and the international community. EAM also inaugurated the new chancery complex in Kabul from which the Embassy has started operating since July 2014. She pointed out that this was the clearest statement of ‘no exit’ policy by India. The Presidential elections were held in 2014 in Afghanistan. After a protracted electoral process for two rounds of elections and UN mediated audit process, a Political Agreement was signed between two leading contenders – Dr Ashraf Ghani and Dr Abdullah Abdullah which led to the formation of national unity government, inaugurated on 29 September 2014. The ceremony was attended by our Vice President Dr Hamid Ansari. Our consistent signalling on the political inclusivity and peaceful transfer of power was addressed and appreciated by all sections of the Afghans. In 2015, our Foreign Secretary, S. Jaishankar visited Kabul on 4th March 2015, part of his SAARC YATRA. During his visit he called on President of Afghanistan Dr. Mohammad Ashraf Ghani and Chief Executive of Afghanistan Dr Abdullah Abdullah. He also held talks with his Afghan counterpart and discuss regional and bilateral issues. In May 2015, Our Deputy NSA, Arvind Gupta participated in the ICG and 1+6 meeting held in Kabul. Our Secretary for Multilateral and Economic Relation headed a delegation and participated in the RECCA-VI conference organised by the Ministry of Foreign Affairs, MOFA in September 2015 in Kabul. On 25th December 2015, Prime Minister along with a high level delegation paid a visit to Afghanistan. During his visit he called on President Ashraf Ghani; he met Chief Executive, Dr Abdullah and Former President Hamid Karzai. During his visit he inaugurated the newly built Afghan Parliament; he announced 500 scholarships for the children of the martyrs of Afghan Security Forces in school and colleges both in Afghanistan and in India; and Prime Minister gifted four Mi25 Attack helicopter to Afghan Air forces. Mr.YunusQanooni, Interior Minister of Afghanistan visited India on December 7, 2001 and held meetings with EAM and Home Minister. Minister of Labour and Communication, Mr.MirwaisSadiq visited India on December 10, 2001. Foreign Minister, Dr. Abdullah Abdullah visited India from December 13-19, 2001. During his visit, he met EAM and called on PM. The Minister of Light Industry in the Afghan Interim Authority, Engineer Mohd. Arif Noorzai visited India on January 8, 2002. The then Afghan Minister of Civil Aviation (later killed) visited India on January 24-25, 2002 and signed an MOU with the Ministry of Civil Aviation regarding India-Afghan cooperation in the field of Civil Aviation. General Dostum, Deputy Defence Minister of Afghanistan visited India on January29, 2002 and Haji Mohammad Mohaqeq visited India on January 31st, 2002. The Afghan Minister of Agriculture Mr.SeyyedHussainAnwari visited India on April 21, 2002. The Afghan Deputy Minister of Transport, Mr.SadiMuttafakir visited India on April 21, 2002 to take the delivery of 25 buses from India. The Minister of Civil Aviation in the Interim Administration, Dr.ZalmayRasool, visited India from May 5-8, 2002. Afghan Defence Minister Marshal Fahim visited India on May 5-8, 2002. Afghan Finance Minister Mr.Arsala and Afghan Education Minister Mr.Rasool Amin visited India on May 22-25, 2002 to participate in the GOI-UNDP Joint Conference on South-South Cooperation and the Reconstruction of Afghanistan. They also met EAM and Finance Minister. Afghan Justice Minister in the Afghan Interim Administration, Mr.Karimi visited India from May 30 to June 3, 2002. During his visit, he called on Minister of Law and Justice and Chief Justice of India. Afghan Foreign Minister, Dr. Abdullah Abdullah visited India from October 31 -November 3, 2002. During his visit, Dr Abdullah called on PM and held delegation level talks with EAM. Afghan Commerce Minister Sayed Mustafa Kazmi visited India on November 17-20, 2002 at the invitation of CII. He met EAM and Commerce Minister. Education Minister YunusQanooni visited India from November 21-24, 2002. He held meetings with EAM and Minister of Human Resource Development and called on the Prime Minister during his visit. Communications Minister Mohammad MasoomStanekzai visited India from March 26-31, 2003 on the invitation Union Minister of Communications and IT. Specific projects for reconstruction were discussed. A team from TCIL visited Afghanistan and submitted a report on the projects. Transport Minister Seyed Ali Javed visited India from April 20-30, 2003 on a private visit hosted by TELCO. During his visit, he called on EAM. Minister of Civil Aviation MirwaisSadiq visited India from May 7-10, 2003 on the invitation of Union Minister for Civil Aviation. Maintenance support of three airbus aircrafts gifted by India to Afghanistan and training for Ariana Airlines personnel in India were discussed during the visit. Minister-Advisor on Tribal Affairs and President of Afghan Cricketing Federation, ShehzadaMasood, during his visit to India met Shri Rajeev Shukla, Member of Parliament and Member, Board of Control for Cricket in India on June 17, 2003. Discussions were held on cooperation with BCCI in promoting cricket in Afghanistan. To establish contact with the new government, Afghanistan's National Security Adviser Dr.ZalmayRassoul visited Delhi on May 30, 2004 and called on the Minister for External Affairs and NSA. Dr.Abdullah Abdullah, Afghan Foreign Minister visited India from August31- September 3, 2004. Apart from talks with the Minister for External Affairs, Dr. Abdullah called on Prime Minister and NSA. Dr.ZalmayRassoul, National Security Advisor visited India from July 12-14, 2005. Minister of Parliamentary Affairs, Mr.FarooqWardak, visited India from May 6-15, 2006. Foreign Minister, Dr.RanginDadfarSpanta paid an official visit to India from June 29-July 1, 2006. From the Afghan side, high level visits to India included former President Hamid Karzai's visit in May, 2013, following closely after his state visit in November, 2012, when he delivered the prestigious MaulanaAbulKalam Azad Memorial lecture, had intensive discussions with political and business leaders and oversaw the signing of four MoUs with India. India also hosted the Upper House of the Afghan Parliament, Meshrano Jirga, for a study visit from 11-18 February, 2013. The former President Hamid Karzai visited India to attend the swearing in ceremony of the Prime Minister ShriNarendraModi in May 2014. Mr Karzai visited India in November 2014 to participate in HT Leadership Summit and also attended the 125th Birth Anniversary of the First PM Pt Nehru, organized by the Indian National Congress. PM Modi met the new President Dr Ghani on the sidelines of the SAARC Summit in Kathmandu in November 2014. Gen. Karimi’s visited IMA Dehradun as the Chief Guest at passing out parade in December 2014 and also met with COAS Gen Suhag. In 14 March 2015, Abdullah Abdullah, Chief Executive of arrived in India for a three days visit. During his visit he met with Mohammad Hamid Ansari, the Vice President of India and some other high ranking government officials. He also participated in India Conclave Conference organised by India Today magazine. The President Dr. Ashraf Ghani in April 2015 paid an official visit to India. During the visit, President Ghani met President of India, ShriPranab Mukherjee; Prime Minister of India Shri. NarendraModi; and External Affairs Minister Smt. SushmaSwaraj, Both side discussed about the cooperation and assistance in various sectors including the health, education, agriculture, disaster management, power sector and electoral management. As a result of President Ghani’s visit, India has gifted Afghanistan three Cheetal helicopters; assistance for the annual maintenance of M/s Habibiyar School, Kabul and Indira Gandhi Institute of Child Health; USD 5 million fund to ARCS to treat Afghan child with Congenital Heart Disease (CHD) in India for 5 years; extension of ICCR scholarship till 2020 and indicated readiness to sign a bilateral motor vehicle pact to allow vehicles from both sides to traverse each other's countries. The National Security Adviser of Afghanistan, Mohammad HaneefAtmar visited India on November 8-9, 2015.During his two-day visit, the Afghan NSA engaged in bilateral talks with the relevant Indian government authorities .The meetings focused on cooperation in the political, security and economic areas including the current situation in Afghanistan and the region.The National Security Adviser of Afghanistan and the Indian authorities discussed and exchanged views on mutual efforts in fighting against terrorism in line with the provisions of the Strategic Partnership Agreement. On bilateral economic cooperation, H.E. Atmar discussed with the Indian authorities expedition of investments by Indian companies in Afghanistan. The Deputy Foreign Minister of the Islamic Republic of Afghanistan, Hekmat Khalil Karzai paid an official visit to New Delhi from November 16 – 20, 2015. Deputy Foreign Minister Karzai during his four day visit conducted meetings with Indian authorities to discuss a host of issues and the state of progress in the bilateral ties between Afghanistan and India and interacted at India based think-tanks. Accompanied by a number of relevant delegates, the Afghan Deputy Foreign Minister paid his first official visit to India. The Afghan authority met with the Indian Hon’ble Vice-President H.E. Hamid Ansari, Minister of External Affairs H.E. SushmaSwaraj, Minister of Skills Development and Employment opportunities H.E. Rajiv Pratap Rudy, Foreign Secretary H.E. S. Jaishankar, Special Secretary (ER) Smt. Sujata Mehta, Home Secretary, H.E. Rajiv Mehrishi, BCCI Secretary General Mr.Anurag Thakur, and And the Director General of Indian Council of Cultural Relations Mr. C.V Rajasekhar. The Deputy Foreign Minister discussed with the authorities of the host country key issues related to the bilateral arrangement between Afghanistan as well as those of mutual interest and concern for the two countries. The head of Afghan delegation also interacted with members of Vivakananda International Foundation (VIF) under Chatham House Rule and spoke at the Observer Research Foundation on “Indo-afghan Relations: the Way Forward”. During the visit the Afghan authority also met with the National Congress Party’s Vice President Mr. Rahul Gandhi, and BJP’s National Secretary General Mr. Ram Madhav. His Excellency Dr. Abdullah Abdullah, Chief Executive of the Islamic Republic of Afghanistan visited India from 31 January- 4 February 2016. During this visit, he met Prime Minister on February I and held discussions on bilateral, regional and global issues of mutual interest including the security situation and peace and reconciliation in Afghanistan. EAM and NSA called on H.E. Dr. Abdullah, on February l & 4, respectively. India reiterated its abiding commitment to stand by Afghanistan in all possible ways during the latter's on-going political, security and economic transitions. The two sides strongly condemned the recent terrorist attacks in Afghanistan and Pathankot in India, and stressed the need to fully eliminate all forms and manifestations of terrorism as well as support to it, for peace and stability in the region. In the context of continued bilateral development cooperation, the decision of the Government of India to approve the 3rd phase of Small Development Projects comprising of 92 projects in Afghanistan was conveyed. Both sides agreed to develop connectivity through Chahbahar port in Iran on priority. An Agreement on Exemption from Visa Requirement for Holders of Diplomatic Passports was signed. On 3rd February, H.E. Dr. Abdullah addressed a joint interaction with the three leading chambers of commerce and industry in lndia, namely ASSOCHAM, CII and FICCI.H.E. Dr. Abdullah delivered the Keynote Address at the Counter Terrorism Conference organised by India Foundation in Jaipur on February 2, where the inaugural address was by Rashtrapatiji.